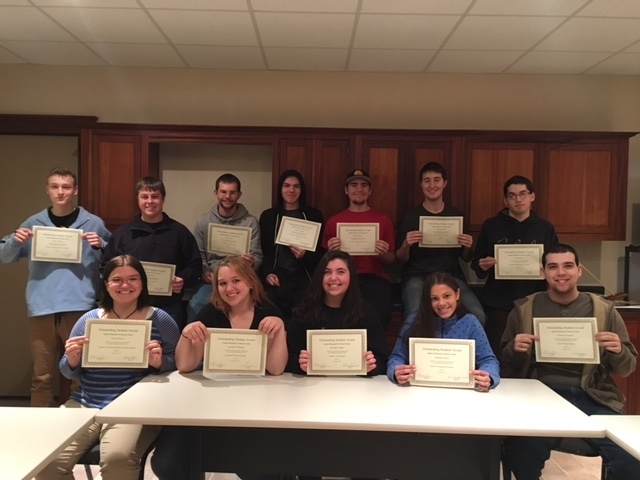 On Monday, November 23rd, the Sanford Regional Technical Center held its quarterly assembly to recognize Students of the Quarter. Students recognized (along with their program name and partner high school name) are listed below. Sanford Regional Technical Center students compete at the 2017 State of Maine SkillsUSA Leadership and Skills Conference in Bangor!